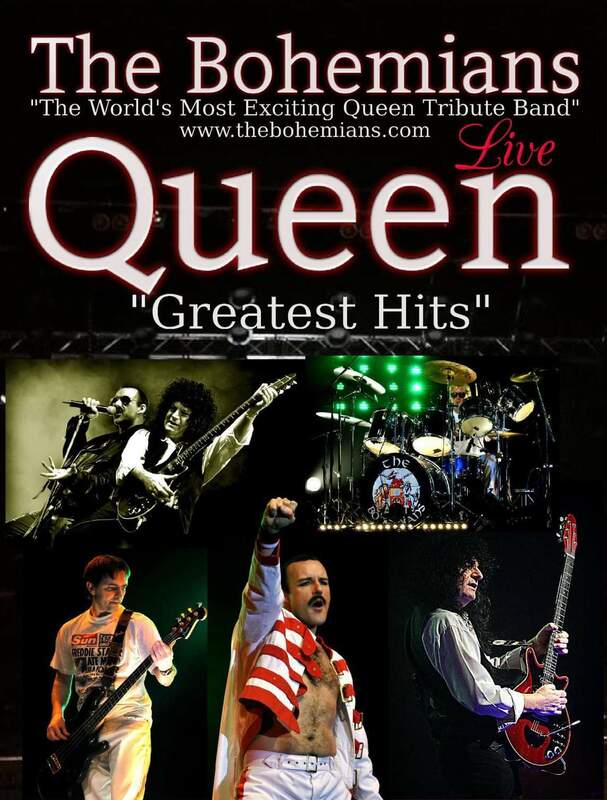 The Bohemians, re-enact the glory days of Queen including the Craziness of the 70s and the Magic of the 80s, proving themselves to be the most dynamic and exciting Queen Tribute Band currently touring The UK, Europe and the world. With bookings and tours to all over the world including New Zealand, Australia, Dubai, Abu Dhabi, Jordan, China, India, Russia, Ukraine, Poland, Croatia, Slovenia, Bosnia, Greece, Spain, Portugal, Germany, Holland, Switzerland, Austria, Luxemburg, Belgium & Ireland, at venues such as; football stadiums, festivals, arenas, theatres and prestigious venues have all experienced The Bohemians in their majestic magnificence and delivered standing ovations in response to the bands electrifying representation of a Queen Live concert. 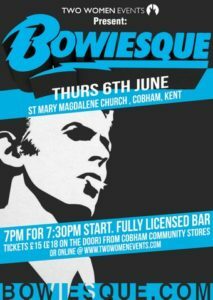 Performing a two hour set including all the piano driven big singles: Killer Queen; Somebody To Love; Don’t Stop Me Now; You’re My Best Friend; We Are The Champions and the amazing award winning Bohemian Rhapsody. Balanced with the Guitar led anthems; Tie Your Mother Down; Hammer To Fall; One Vision; I Want It All; We Will Rock You and the Acoustic vocal tracks 39 and the unforgettable Love of my Life, The Bohemians ability to recreate Queen live is something truly special. Queen Fan Club annual Convention’s and Christmas Parties.